KALIA-the ambitious financing scheme for the farmers will practically go today; CM Naveen Patnaik will launch it in Puri in a function. In the first phase, some 12 lakh farmers will get Rs 5000 each in their account through online transfer mode. The state government is organizing an extravagant show at Malatipatpur in Puri for the occasion- The Chief Minister along with his colleagues in the Cabinet and the assembly will attend the function. Extensive publicity exercise has been undertaken by the government to attract farmers from across the state to the function. Government is dipping into the contingency fund meet the need for the KALIA scheme, giving rise to a legal debate over it. The Odisha High Court, accepting a complaint regarding it, has sought reply from the government of Odisha. The Government of Odisha has opted for a direct financial assistance to the farmers rather than going with the loan-waiver path. 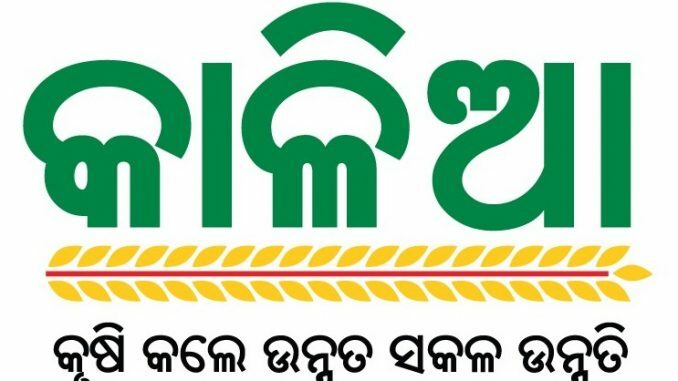 Under the scheme, Odisha government will spend Rs10180 crore in the next three years in the form of providing direct financial assistance to the farmers in 5 components.